Trihalomethanes in water – Plainville, Mass. The U.S. Environmental Protection Agency (EPA) regulations give two choices for disinfectant residual in public water supplies: chlorine or chloramine. Many major water agencies are changing to chloramine to meet current and anticipated federal drinking water regulations. Since the Safe Drinking Water Act of 1974 and its amendments, utilities around the country have made changes to their disinfection strategies to meet more stringent regulations for either microbial contaminants or disinfection byproducts (DBPs). Both chlorine and chloramine react with other compounds in the water to form DBPs. Chlorine forms many byproducts, including trihalomethanes (THMs) and haloacetic acids (HAAs), whereas chloramine forms a significantly lower amount of THMs and HAAs but also forms N-nitrosodimethylamine (NDMA), which is unregulated but suspected of being carcinogenic and EPA is studying it. NDMA is formed when chloramine decays in the water and releases ammonia through a process called nitrification, which converts to nitrosamines from ammonia-oxidizing bacteria. Regardless of the disinfectant used, the types and concentrations of DBPs typically vary from each utility depending on source water, the level of organic matter, temperature, amount of disinfectant used and other factors. Chloramine will last longer in the distribution system than chlorine before dissipating, requiring less for the residual to reach the last house than with chlorine. This can eliminate the problem of high dosage requirements affecting the homes at the front of the distribution system with an objectionable end product. While the term “chloramine” is commonly used, the actual compound used is monochloramine. Monochloramine is a different chemical from dichloramine and trichloramine, which are chloramines formed by other complex chemical reactions. Dichloramine and trichloramine are sometimes found in and around indoor swimming pools and can cause skin, eye and respiratory problems. It often is formed when chlorine in the pool reacts with ammonia released from human bodies’ perspiration and other organic matter. Drinking water research indicates that certain (Disinfection By-products) DBPs have the potential to be harmful. Some research indicates that certain byproducts are linked to increases in cancer incidence, including bladder cancer. Some research indicates that certain DBPs can be linked to liver, kidney, central nervous system problems and reproductive effects. Other research indicates that certain DBPs can be linked to anemia. Scientists from many organizations have conducted research on the effects of DBPs. 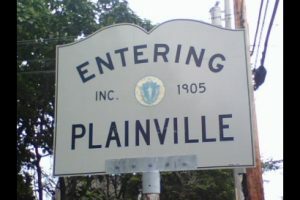 In some cases, research results are contradictory; some studies show links to adverse health effects and others do not. Regulatory documents describe the uncertainties in DBP risk assessments. It is the job of regulators to weigh the public health benefits of disinfection against the risks of the potentially harmful DBPs. EPA sets limits for certain DBPs that are linked to the health effects previously described. Exposure to THMs may occur from drinking tap water containing the chemical compounds as well as showering, bathing and other water use activities contributing to an individual’s total exposure. For example, THMs can evaporate from the tap and be inhaled during showering, or they can be absorbed through the skin during bathing. 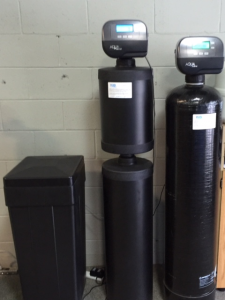 To remove THMs from your water supply in your home or business, the installation of a tank of activated carbon is the most effective and practical approach. The carbon is able to essentially trap the THMs until reaching maximum absorption. The carbon media inside the tank should be exchanged at regular intervals established by you and your water treatment professional. Because the chloramine conversion reaction is catalytic in nature, activated carbons that exhibit enhanced catalytic activity are more efficient. The chloramine removal efficiencies of catalytic carbons cut required contact time, extend bed life and enable the use of smaller equipment. These advantages translate into cost savings for the end user without the sacrifice of the carbon’s capabilities. NDMA has been shown to degrade relatively quickly when exposed to ultraviolet light. 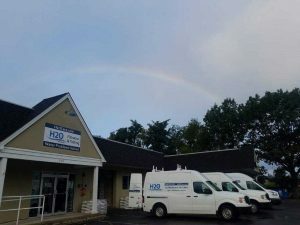 H2O Care is an established full service water filtration and testing organization, originally formed in 1989 with offices in Middleton & Hudson, MA and a service depot in Plymouth, MA. See our written and published articles in Water Technology Magazine by going to our website, http://h2ocare.wpengine.com and going to the publications tab at the top of the home page. Contact us by email at service@h2ocare.com or call us at 800-539-1100.